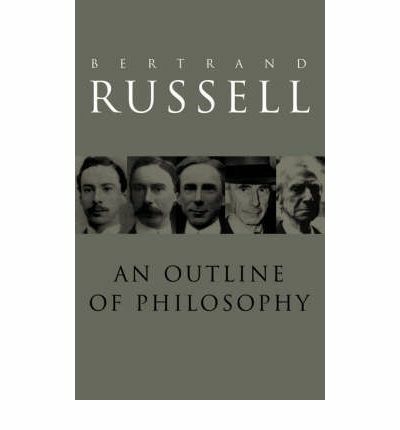 Bertrand Russell's rejection of a thing-ontology (as well as his parallel embrace of an event-ontology) is both very psychological and Humean in nature. That is, he focussed on the psychological reasons for believing that there are things. He also offered an empiricist account of all things psychological and physical. To put it simply, Russell believed that there are only events. We mistakenly believe, however, that there are also things. Russell goes on to argue that “[w]e must think of a string of events” as a “thing”. Psychologically this is accounted for by the fact that different events are seen to be “connected together by certain causal connections”. One Humean conclusion to this is that we deem such events to have “enough unity to deserve a single name”. This movement of things is accounted for - again - in psychological terms. Russell says that when “the events are not all in the same place”, we then “say the 'thing' has 'moved'”. However, such a belief is “only convenient shorthand” (125). Bertrand Russell then scientifically and metaphysically concludes that “it can be no part of legitimate science to assert or deny the persistent entity”. To assume a persistent thing is to “go beyond the warrant of experience”. Russell carries on his theme of Humean constant conjunction (as it were) by speaking of a light-wave. He says that these too are a “connected group of rhythmical events” (161). And, as before, Russell rejects the idea that a light-wave is a thing. It is, instead, a “connected group of rhythmical events”. The only thing that can be said here is that I doubt that even scientifically (or philosophically) illiterate people deem light-waves to be things in any strict sense of that word. In any case, Russell often fluctuates between using the word “thing” and using the word “matter” (or “piece of matter”). And even then he tends to put both words in scare quotes. In other words, a thing or entity needn't “exist complete at every moment”, as Russell puts it. It depends on what is meant by the word “complete”. If it means everything that belongs to object O at time t will not do so at t2, then he's correct. Though an entity doesn't need to be the sum of literally all its properties at every single point and place in time (which was Leibniz's position). It's only the case that certain (essential) properties are passed on from t to t2 to tn. Of course if there aren't any essential or intrinsic properties in the first place, then this scenario can't work and we must take Russell literally. It doesn't follow that because an x doesn't remain identically the same in all respects over time that it doesn't remain the same in at least some respects. In metaphysical terms, we call those unchanging aspects essential properties. However, we may not like such a reference to essential properties and want to say, instead, “important” or “enduring” properties [see Quine 1960]. Thus I will loose millions of neurons (or cells) over time; just as an oak tree will loose many of its leaves. Nonetheless, both persons and trees do have characteristics - functional, formal and physical - which last over time. Indeed if that weren't the case, then indeed we wouldn't have any right to keep on referring to a particular piece of matter with the same name over time. I can be said here that Russell does believe that we have no right to use the same name over time because he rejects essential (or intrinsic) properties. Either that or he didn't deem the enduring or important properties of an x to also be essential or intrinsic properties. The upshot of Russell's position (if only at this time) is that there are no intrinsic or essential properties and, consequently, there aren't really any things or objects. That is, all x's properties are both contingent or external. Russell's bottom line is that we have no access - either observationally or otherwise - to the intrinsic characteristics of such things. Instead “[w]hat we know about them” is simply “their structure and their mathematical laws”. That is, all we've got is structure and maths. Thus it's structure and maths “all the way down”. There is one conclusion that we must face here. If all properties are contingent or external, then there's little point in using these terms at all. If I can offer an analogy. Say that everyone in a class can recite the 12-times-table and are consequently all called "geniuses". Thus that term is gratuitously used about everyone in that class. The same is true of all references to "external" or "contingent properties" – they only have meaning in reference to their (as it were) antonyms: "intrinsic" or "essential". “[m]odern physics, therefore, reduces matter to a set of events which proceed outward from a centre”. Since Russell states that the idea that radiation comes from lumps (or things) is unintelligible, then why is it any more intelligible to say that “events” (or radiation) “proceed outward from a centre” (163)? Is a physical center more intelligible than a lump (or a thing)? Despite saying that, Russell backs himself up by saying that “[i]f there is something further in the center itself, we cannot know about it”. Indeed such a thing is “irrelevant to physics”. That's right – it all depends on what we observe or perceive. And even when we can't observe an x directly, we can still indirectly do so when various physical effects can be seen on “photographic plates and other instruments”. Russell adds to his rejection of a thing-ontology by telling us about the nature of gravitation and its relation to spacetime. In fact, if anything, in this picture it's spacetime itself that's treated as a thing – if a single universal thing. Russell also says that spacetime is a “system constructed out of events, the 'crinkles' in it are also derived from events” (290). Thus we have both a pluralism of events and a singular spacetime. “[t]here is no reason to suppose that there is a 'thing' at the place where the 'crinkle' is most crinkly”. In parallel, Russell also says that “matter has ceased to be a 'thing'” (290). However, doesn't the layperson believe that there is matter and that there are also things? That is, things are made up of matter; though matter itself is never a thing. Then again, an ontologist can say that a mere lump of matter can be deemed to be a thing too. Are Protons and Electrons Things? “[f]or aught we know, the atom may consist entirely of the radiations which come out of it". He then predicts the obvious response when he says that it's “useless to argue that radiation cannot come out of nothing” (163). Yet surely that response is understandable. Russell's position here is a little counterintuitive. He states that the something-from-nothing scenario is no less or no more “intelligible” than thinking radiation “comes out of a little lump” (163). Surely it can be said that the idea that radiation comes out of lumps is more (not less) intelligible than saying that it comes from nothing. No matter how inaccurate the idea is that protons and electrons are things (or "lumps of matter”), it's still more believable than stating that radiation can come out of nothing. This philosophical rejection of things will - almost by definition - come along with a rejection of what philosophers traditionally called "substances". In the old ontology, if a thing is a thing, then that can only be the case if it also has a substance. The substance guarantees the thing's continued existence and identity over time. In this regard, Russell says that radiations are “not changes in the conditions or relations of 'substances'” (289). Thus, just as it can be said that the word "centre" has become a substitute for the word "thing" in Russell's ontology; so Russell also seems to think events are things too. This is shown in Russell's articulation of the meaning of the words “neutral monism”. What about Russell's "pluralism" of entities? He then tells us that “it is pluralism in the sense that it admits the existence of a great multiplicity of events”. It's here that the notion of a thing (or an entity) is resurrected. Russell tells us that “each minimal event being a logically self-subsistent entity” (293). Quine, W.V. (1960) Word and Object. Russell, Bertrand. (1927, 1970) An Outline of Philosophy.